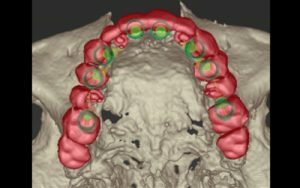 With computer-guided implantology, implants are placed atraumatically, quickly and safely, as the time required and possible errors are minimized. The procedure is performed virtually and the perfect position of the implants is decided before surgery. 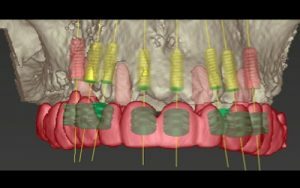 At our clinic, we implement computer-guided implantology using the SimPlant software. SimPlant is a comprehensive software for the three-dimensional processing of axial (CT) and volumetric (CBCT) scans for planning dental implants, with a view to aid diagnosis, treatment planning and surgical guidance. We feel proud to have acquired one of the top CT dental radiography units in the world: the CS 9300 Select! This revolutionary system gives huge flexibility and the ability to collimate the field of view based on the patients’ diagnostic needs, delivering lower radiation dosage than conventional CT units and also a superb level of detail. 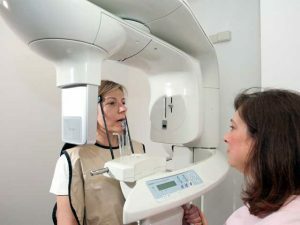 Cone beam computerized tomography (CBCT) is a breakthrough in computed tomography, which allows display in a three-dimensional plane. 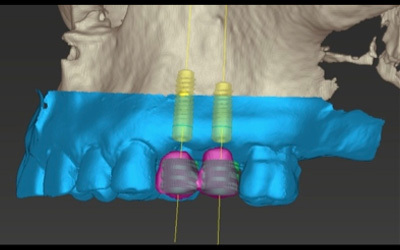 The three-dimensional display focuses on a specific area, so that the patient receives less radiation (98% less than in conventional CT scanners)..
CBCT is used during diagnosis and preoperative control in endodontics and implantology. A key advantage of the technology is that it adds depth to the diagnostic image. Therefore, with a single diagnostic process, we acquire a complete picture and increase patient care and satisfaction, as the need to undergo multiple irradiation sessions is reduced. 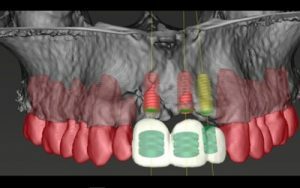 The CEREC SIRONA system creates all-ceramic CAD/CAM restorations (partial crowns, veneers, inlays, onlays and full-crowns) with excellent aesthetics, biocompatibility and durability. 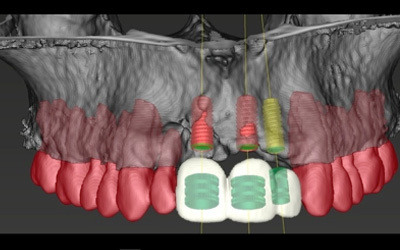 Our clinic has been using CEREC SIRONA since 2008, with 100% success in restorations. We feel excited about this system and its results, while feeling that we offer our patients the cutting edge of technology in the field of cosmetic dentistry worldwide. The strength of teeth restored with this technology is equal to that of intact teeth. We believe in the non-negotiable principles of absolute cleanliness, sterilization and disinfection. 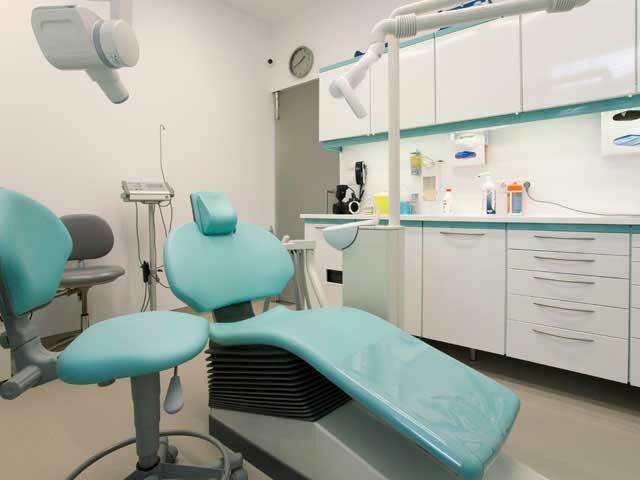 Our clinic features a separate sterilization department, fully harmonised with EU legislation. 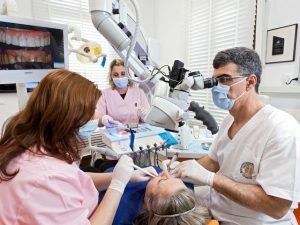 All implantology surgeries use an aseptic technique. Amongst other requirements, the aseptic technique always uses disposable materials. Dentistry is an applied science, whose quality depends entirely on the biomaterials used. 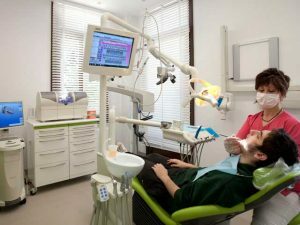 At our clinic, we use only top-quality dental materials, which are scientifically documented and certified by the FDA. The use of top-quality materials in implant treatment and restoration procedures guarantees an optimum result. The exceptional prostheses enjoyed by our patients are the result of our collaboration with leading laboratories in Greece. To offer our patients high-quality dentistry and safety, we continually upgrade our technological infrastructure with the most modern equipment.